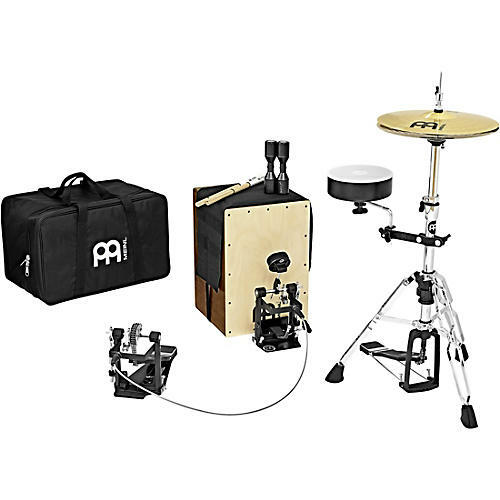 The MEINL Cajon Drum Set is a portable rhythm station that provides the essential ingredients to drumming: kick, snare, and hi-hat. This set includes everything needed for players looking to perform their normal drum set rhythms in smaller, intimate acoustic settings. The Cajon Drum Set can be easily arranged for right and left handed players.